Build is always an exciting time for developers, we get introduced to new tools and hopefully a fresh vision of what the future workflow might look like with those tools in hand. I have been stealing moments all day to look at the announcements, I have missed a ton of new features and concepts but here are a few of my favorite. We get an RC 1 for .NET Core 2.1 and some important information on .NET Core 3 which will include a Windows-only desktop pack that will permit UI development based on UWP, WPF, and Windows Form. If you have been paying attention it will not be much of a surprise that Microsoft is the largest single corporate contributor to open source on Github. 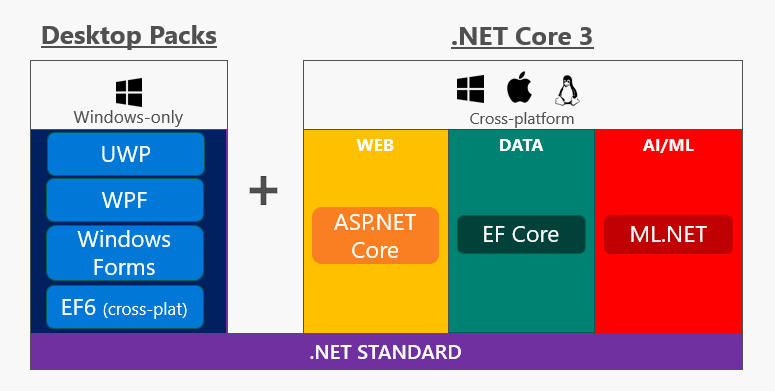 Just check out .NET Core as a singular example it is happening in front of our eyes. Release of Visual Studio 2017 15.7, the installation experience is exemplary! Visual Studio Live Share is going to transform development practices especially remotely. You get a genuine live look into someone debugging session. It works between Mac and Windows and between Visual Studio and VS Code. Introduction of Visual Studio IntelliCode as an experimental set of AI-assisted development capabilities for next generation developer productivity. It includes features like contextual IntelliSense, inference for code styles, and focused reviews for your pull requests. Azure Event Grid Service - Provides reliable event delivery at large scale (millions/sec), eliminating the need for polling and latency. Integrating Azure Search with Cognitive Services - Native integration that allows you to index any content (images, videos, pdf) and use AI to extract additional info about that content.